Prime Minister Peter O’Neill and senior members of his cabinet arrived in Madang today to launch a number of key projects in the province. The contingent was welcomed at the airport by Madang Governor Peter Yama where they proceeded to his first engagement of the day. 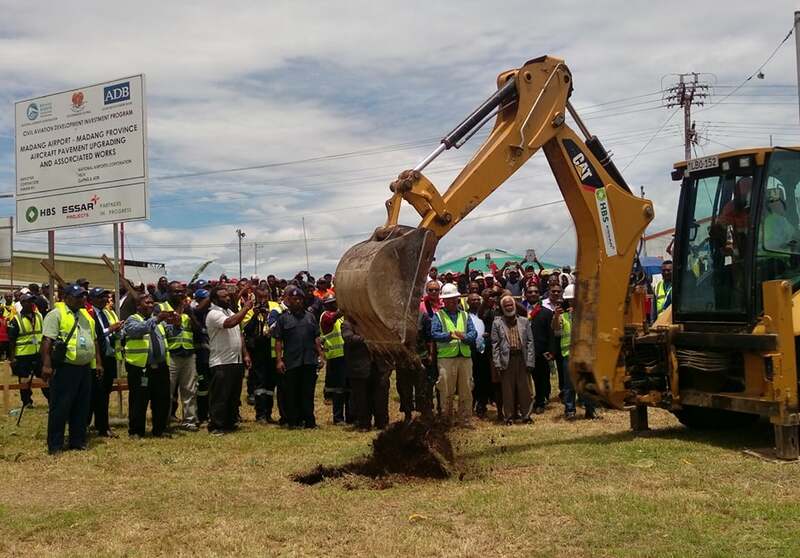 The ground breaking ceremony of Madang airport will pave way for an aircraft pavement upgrade, new terminal building and other associated works. This is a project valued at K77.5 million under Civil Aviation Authority’s CADIP program – jointly funded by ADB and World Bank – and will be built by HBS and ASSAR contractors. Construction will commence in March and is anticipated to be completed in August 2020. Works will include resealing and extension of the runway, a new terminal and more apron spacing. It will also see new PAPI lights installed. Civil Aviation Minister Alfred Manase said negotiations in the CAPID 2 program will see the runway extended by a further 350 metres to allow bigger aircrafts to land and he called for the support of all to complete the project. Yama described the project as one that will link Madang and PNG with the rest of the world. He also thanked the Minister for Civil Aviation Authority for the project. “People of Madang need the project, we can assure you that we will complete it,” Yama said. Prime Minister O'Neill announced that six more bridges will be launched in Madang today. “Work must go ahead, we can talk about politics later,” PM O'Neill said. The Department of Works has designed a four-lane road from the airport into town. The PM will later proceed to open the Banab Bridge.